France is a stunning country with beautifl landscpes and coutryside ranging from snow capped mountains to white sandy beaches. With its modern network of roads, France is ideal for a driving holiday and its many modern hotels and mny ancient buildings its the very best way to see any country, and you can do it from the comfort of your hire car. Here we’ve put together a few ideas of what to see in France and what to visit so you can make the most of your time on holiday. Why not stay the night at this enchanting castle? Château des Briottières is a private castle and a beautiful four-star hotel. Located in Anjou (near Angers), the 18th century property has been in the same de Valbray family for over seven generations and you will even be welcomed personally by owner and extrovert aristocrat de Valbray. Located between Mont Saint Michel, and the royal castles of the Loire staying here is one of the best things to do in France in our opinion and is one of the top tourist attractions in France too. Wandering the old, and long, walled gardens and its parkland or taking a swim in the pool, staying in an ancient castle, and this one especially, is definitely one of the places you should know about in France. One of the favourite places of interest in France for drivers is Villefranche-sur-mer with its nice roads and with it being one of the top tourist attractions in France. The town of Villefranche-sur-Mer, is just on the outskirts of Nice is an ideal destination for families and especially kids who can feast on the famous local crepes and ice-cream in the old . With views that will take your breath away in every direction you must not miss this place; it’s clear why it is one of the best tourist sites in France. Summer evenings are spent dining in the many reasonably priced restaurants and strolling the cobbled streets. With street venders selling local produce and, often, a musician playing in a courtyard Villefranche really is a cultural treat and one of the best tourist sites in France. One place on a road trip that you should not to miss! Another of the most popular places of interest in France in the Loire Valley, which sits majestically in the middle of the country. IF you have always wondered what to visit in France then this is certainly one of them. With the valley stretching for over 280km and with the Loire River running through some of the most beautiful towns, driving this region is a treat at any time of the year. Tourist sites in France are many but this one is spectacular and one of the places you should no about in France. If you like history and castle, the Loire valley has some of the very best to seen in France including the beautiful Château de Chenonceau which spans the River Loire and the Château de Cheverny which has been lived in by the same family for over 6 centuries and its gardens, its labyrinth and its 3D Tintin exhibition will give any family a fun and fascinating visit. Just 30 minutes drive from the nearby city of Nantes the wonderful island of Noirmoutier is located off the west coast of France and one of those places you may not have thought about when debating what to see in France Cobbled walkways and the white cottages add an amazingly stunning character to the place and should be on your list of what to do in France. With pine trees and sand dunes as your backdrop the low lying fields make this place a wonderful place to see in France while driving. Where to start as France has a wealth of tourist sites and attractions that are famous the world over. But the idea is you want to see at least some of them of course and we’d recommend that you go to a region at a time and explore that area, such as we suggested in the Loire Valley or Burgundy and Champagne. 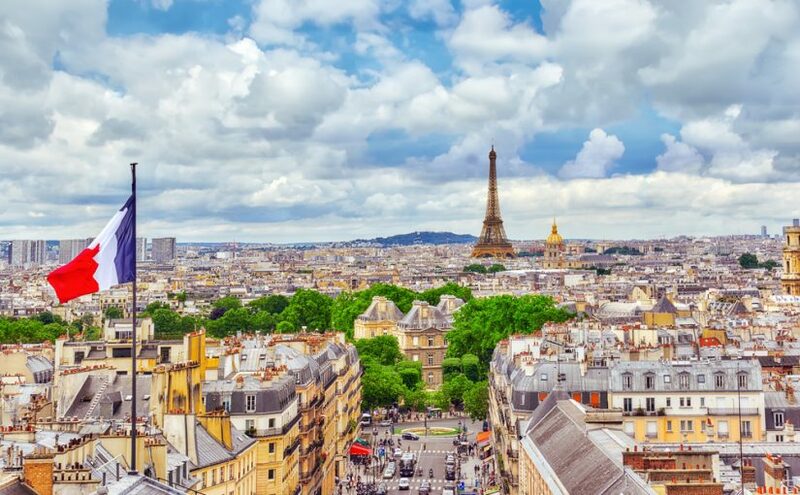 Paris obviously has a long list of tourist sites for visitors to be in awe of and boasts some of the most famous tourist attractions in France. Driving the country you can spend a few days in each region and discover the beauties that lie within. Le Mans is a wonderful city and, yes, it is home to one of the world´s biggest motor races, buut the city itself boasts so mch more for the visitor with museums, galleries, history and some wonderful restaurants. As tourist sites in France go this is one of the best for all the family. Plan your trip and discover France from behind the wheel of your hire car, and at that wonderfully relaxed Gallic pace! And if you prefer to go on trip with all your family, you can now hire a van with Goldcar. ¿Do you want to hire a car in the country of the Eiffel Towel? We recommend you this 7 minute guide to driving in France like an expert. Don´t miss it!